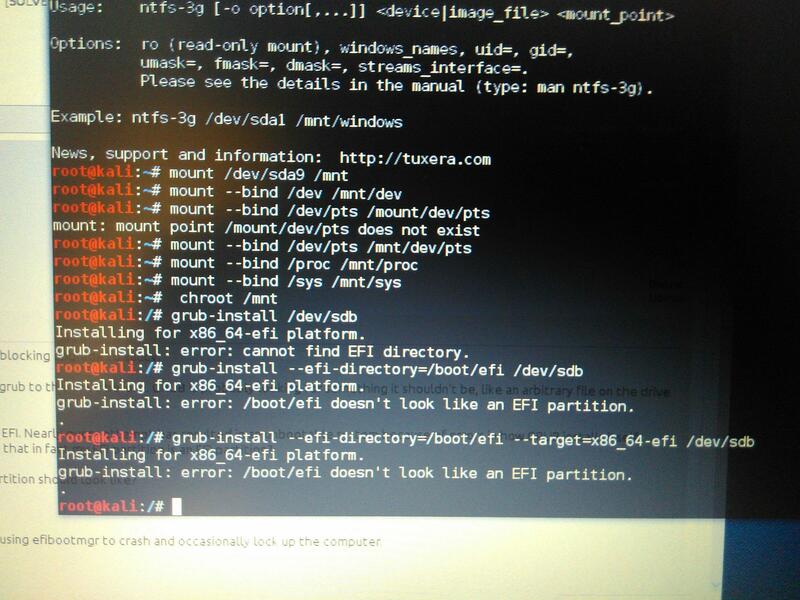 If you can't access GRUB, you'll need to repair it. Boot Repair Disk is a rescue disk that includes the Boot Repair tool. Insert the Boot Repair disk, remove all other USB disks, and reboot the PC. Select the Boot Repair live USB flash drive as the device to boot from. Connect to the internet if possible. This solves the majority of boot sector/GRUB/MBR problems. Have you tried boot-repair yet? If not, open your favorite search engine and look for boot-repair. Go to the help.ubuntu website. Then follow the instructions and install boot repair. 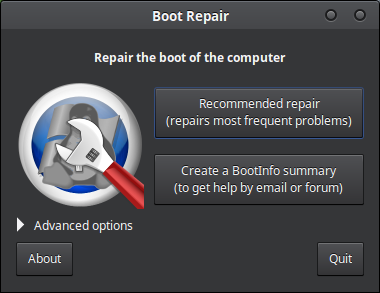 Boot repair should open automatically if you installed it properly for the first time. If not, open up the terminal ( ctrl + T ) and write 'boot-repair' -without the ' - this will open boot repair. Once opened, wait boot repair to scan systems. Once it's done, click recommended repair and wait. You might want to share the logs, this will help a lot (boot repair is going to ask you after it's done) By the way, if you encounter any errors during opening boot repair, then you should try to open boot repair with an extra 'sudo'. The command should look like this 'sudo boot-repair' . Not the answer you're looking for? Browse other questions tagged linux installation grub kali-linux grub2 or ask your own question.